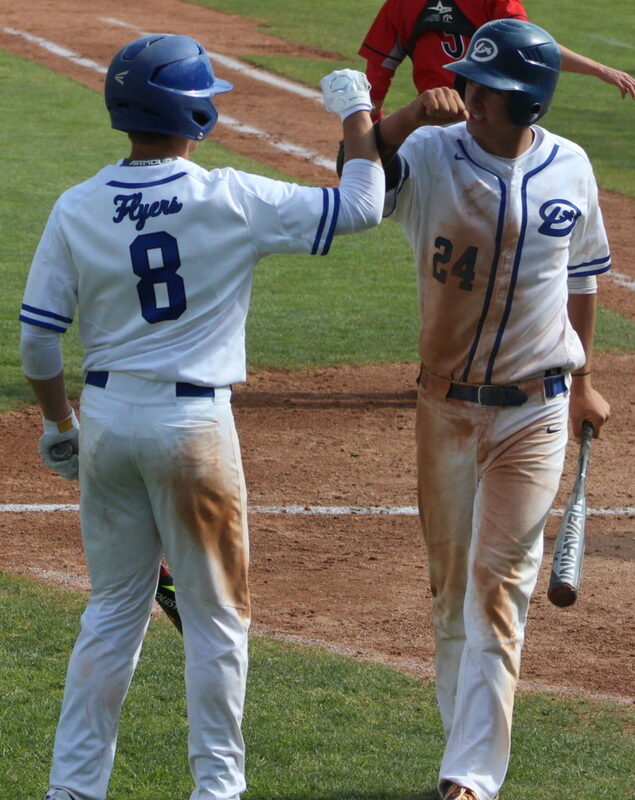 The Dixie Flyers made an emphatic statement Friday afternoon, blasting eight extra-base hits and scoring an incredible 19 runs in a blowout win over Park City in the 3A State semifinals. 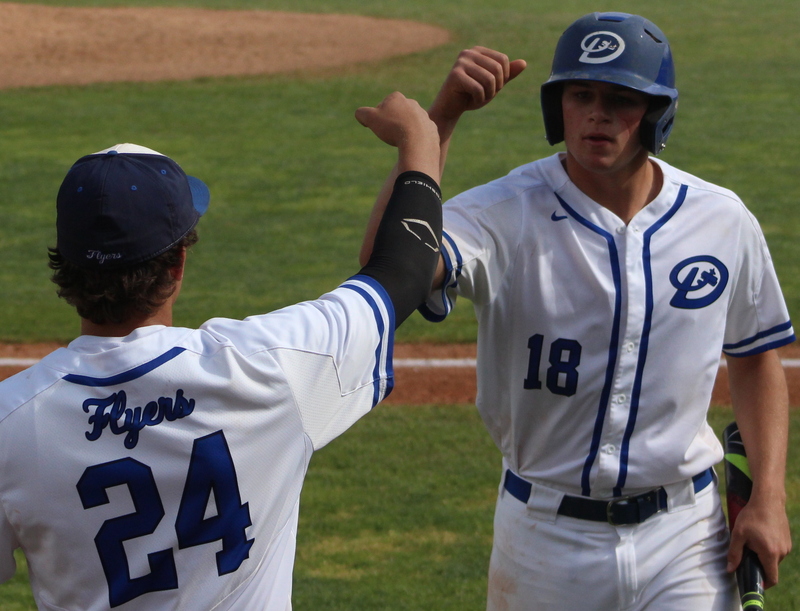 Dixie’s overwhelming 19-1 win over the Miners accentuated a day in which none of the state tournament games were decided by less than seven runs. Snow Canyon, which lost in a blowout to Dixie on Thursday, was on the winning end of two lopsided wins Friday. And Pine View bowed out in a one-sided loss to Juan Diego. All totaled, the winners of Friday’s contests scored 61 runs and the losers managed just 11. There’s no doubt the Miners have one of the top pitchers in the state in Ryan Brady. But with his pitch-count for the week used up Thursday against Pine View, the Miners turned to a handful of pitchers against the hot-hitting Flyers. None of them had an answer for Dixie, which turned the game ridiculous in a big hurry. Dixie scored four runs in the first inning, six in the second and seven in the third. 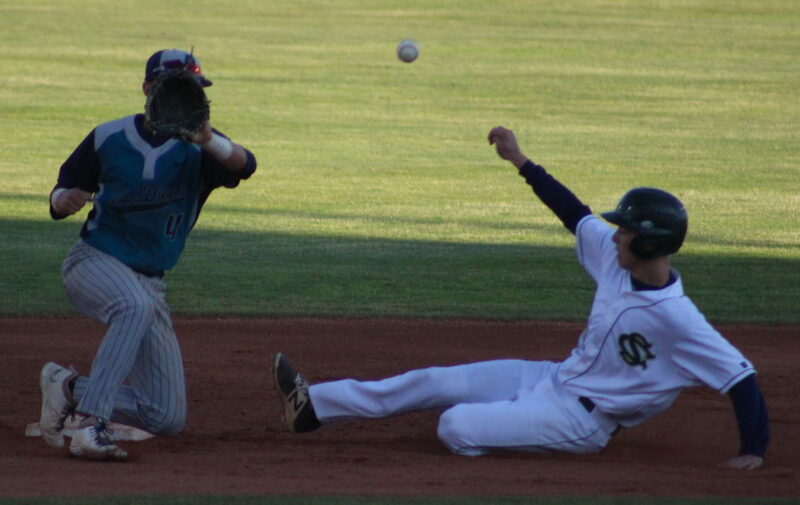 It was 17-0 and the Miners had managed just two baserunners, one of which had been erased on a double play. Sam Strader was the first Park City pitcher in line, coming into the game as the Miners’ No. 2 pitcher with an earned run average of 1.30. The Flyers jumped on him for four runs in the first inning, with the first run coming on an error and the next three on RBIs by Wyatt Woodland, Tyson Miller and Chase Lundin. Strader collided with catcher Payton Gross on a pop-up in the inning and stayed down on one knee for several minutes, with trainers checking him out. He finished the inning and even came out to start the second. But after Hobbs Nyberg opened the top of the second with a triple, Strader went down in a squatting position. At that point, it was apparent something wasn’t right with the pitcher and he was removed from the game. With Strader went any hope of Park City staying close. 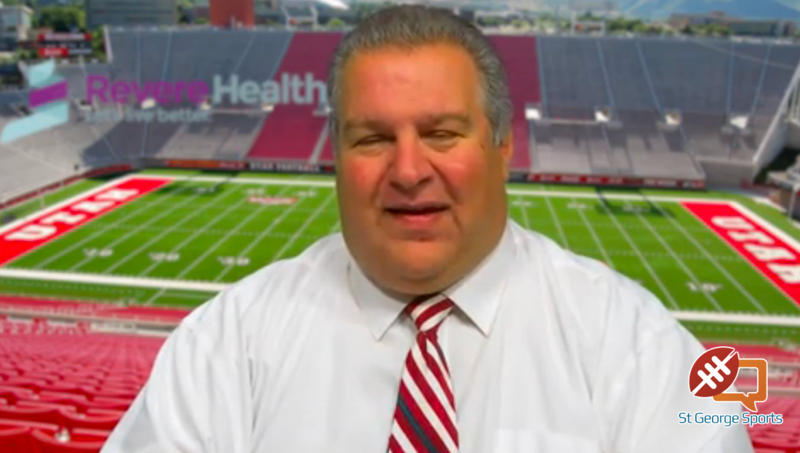 The next in line was Van Rabe. After he recorded an out, Dixie put on a hitting clinic that lasted for the next 12 minutes. Fisher bruised the baseball with a 400-plus-foot shot over the left field fence, making it 6-0. Payden Harrah was hit by a pitch and Woodland doubled him home to make it 7-0. Kayler Yates singled and Miller walked to load the bases, prompting another pitching change. The new guy, Josh Lansky, was greeted by Lundin, who ripped one down the left field line to score two, making it 9-0. Next up was Leavitt, who doubled to left to chase Miller home and make it 10-0.
Cooper Vest, Dixie’s pitcher, was solid, allowing two hits and no runs through the first three innings. His teammates made the lead even bigger in the bottom of the third as Fisher opened the inning with his first triple of the season (to go with his nine homers and 11 doubles). It was the start of a seven-run inning that increased the lead to 17-0. Yates and Lundin had RBIs ahead of a three-run homer by Leavitt that made it 15-0. Leavitt’s bomb is his fourth of the year and the third in the past three weeks. Dayton Dempsey doubled home Nyberg moments later and Fisher collected his third hit with an RBI single in the inning. Vest surrendered the shutout in the top of the fourth with a bases loaded walk, and Dixie coach Danny Ipson pinch hit liberally the rest of the game. Youngster Josh Cazier had a two-run double to cap the scoring for the Flyers. Dixie finished the contest with 15 hits, including three by Fisher and two each by Nyberg, Dempsey, Yates, Woodland and Leavitt. 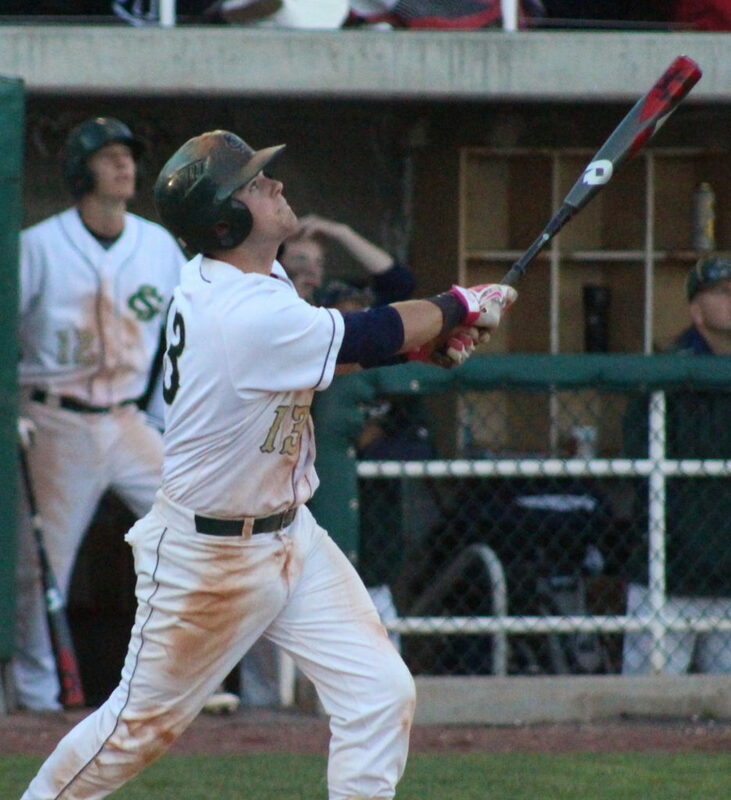 Lundin had four RBIs and Fisher and Leavitt had three each. 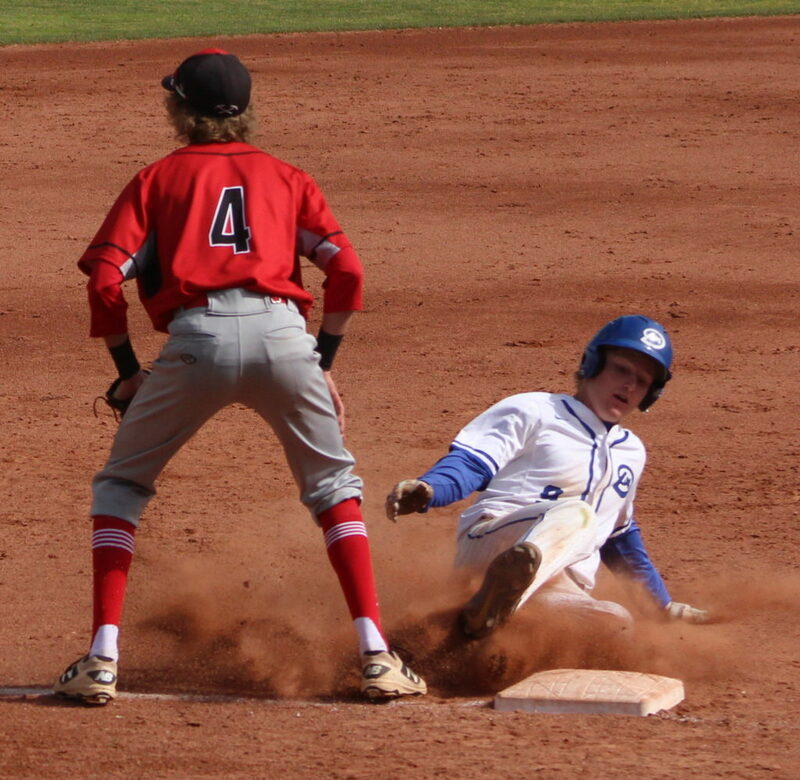 Dixie, 23-3, has now played four state tournament games with the cumulative score of the contests being 38-3. The Region 9 champs have now won 12 games in a row. The Flyers will get set for Saturday’s noon 3A title game, but their opponent has yet to be determined. Snow Canyon and Park City, Dixie’s last two mercy-rule victims, face off at 10 a.m., with the winner needing to beat Dixie twice to win the state championship. The day started with the Warriors taking on the Falcons and things were sketchy early on for SC. A week ago, Snow Canyon blasted Canyon View 18-0, but Friday’s game started very differently. Warrior starter Matt Kitchen allowed three walks and two hits in the top of the first, with RBIs by Joey Mackelprang and Tyrel Robinson, and CV grabbed a quick 3-0 lead. Cannon Secrist turned the tables in the bottom half by making it a 3-2 game with a two-run triple. The Falcons got two more on in the top of the second, but Kitchen wriggled out of the jam by forcing three straight groundouts, fielding two of them himself. The escape seemed to fire up the Warrior bats and they seized control of the game in the bottom of the second. An error, a single and a one-out walk loaded the bases and Davis Rigby tied it with an RBI infield single. Up stepped power hitter Austin Deming, who ripped a 1-2 pitch to the base of the wall in right-center for a three-run double, making it 6-3. 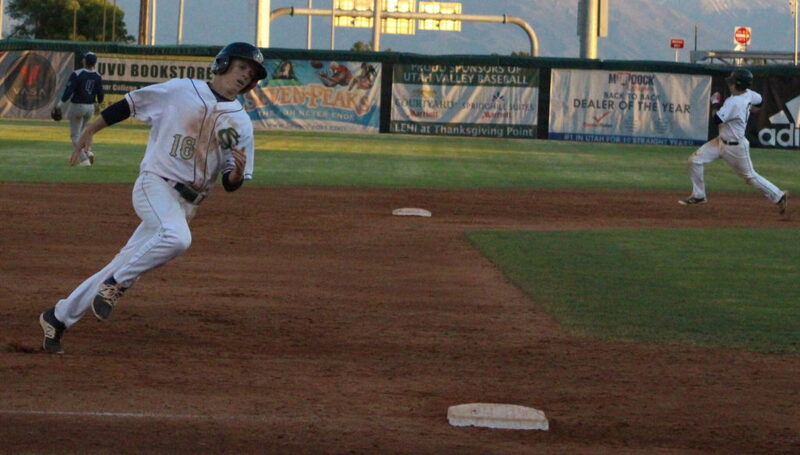 Braden Baker followed with a double to bring home Deming and make it 7-3. The Falcons cut it to 7-6 in the third, with Joey Lambeth doubling home two of those runs, but it was a temporary stay as the Warriors added five more in the fourth and one in the sixth to put the game away. Kitchen got the win and Brenton Thorpe pitched two scoreless innings in relief to help the Warriors survive and advance. Deming and Baker had three RBIs each for the Warriors, who earned the right to play the late game Friday. It looked like a shootout in the making in the first, with Easton Rex helping the Soaring Eagle take a 3-0 lead on a home run and Jagun Leavitt and Weston Sampson picking up RBIs in the bottom of the first to cut it to 3-2. But that would be the end of things for the Panthers, who managed just two baserunners and no hits the rest of the game against Juan Diego pitcher Colby Finn. No Pine View player even made it past first base the rest of the contest. Finn ended up with a two-hit gem and the Soaring Eagle added four runs in the third, one in the fourth and four in the fifth to invoke the 10-run mercy rule. 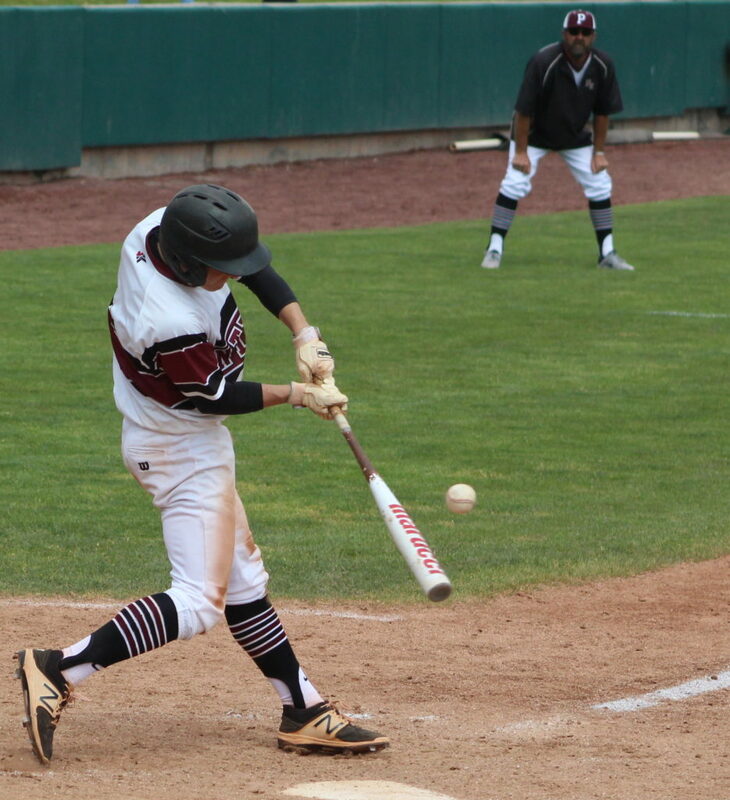 Leavitt and Ryke Erickson had the only hits for Pine View, which was eliminated from the state tournament with the loss. The two-time state champs end the 2017 season with a 14-12 record. The Soaring Eagle, at 20-10, advanced to another elimination game, this time facing the Snow Canyon Warriors. 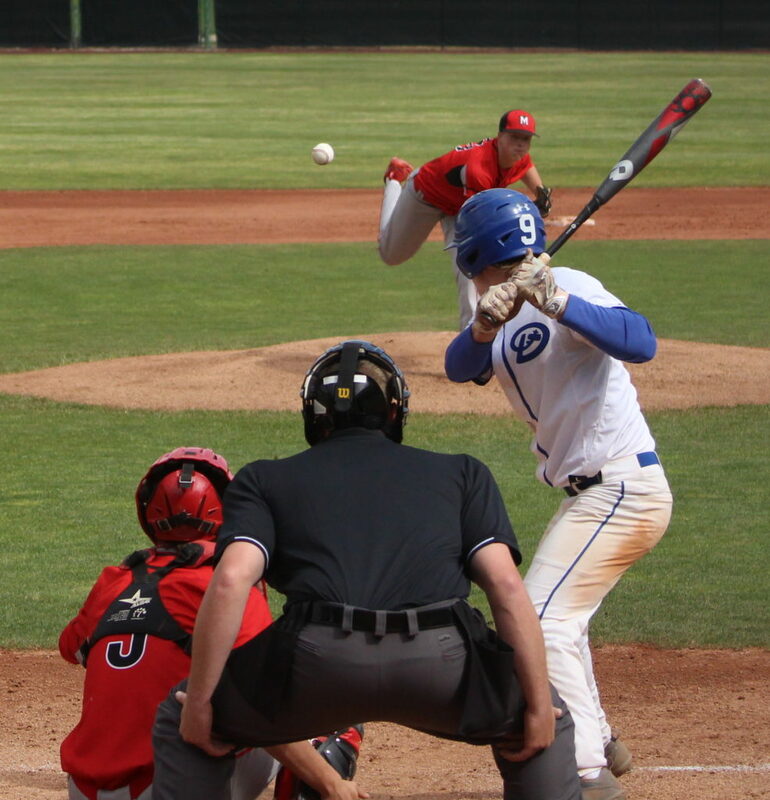 The Warriors defeated Juan Diego in the second round of the tourney last week in Cedar City by an 8-1 score, but Juan Diego had outscored opponents 37-8 since that loss. But JD had also exhausted its pitching staff and Snow Canyon sensed the blood in the water and pounced all over the Soaring Eagle. 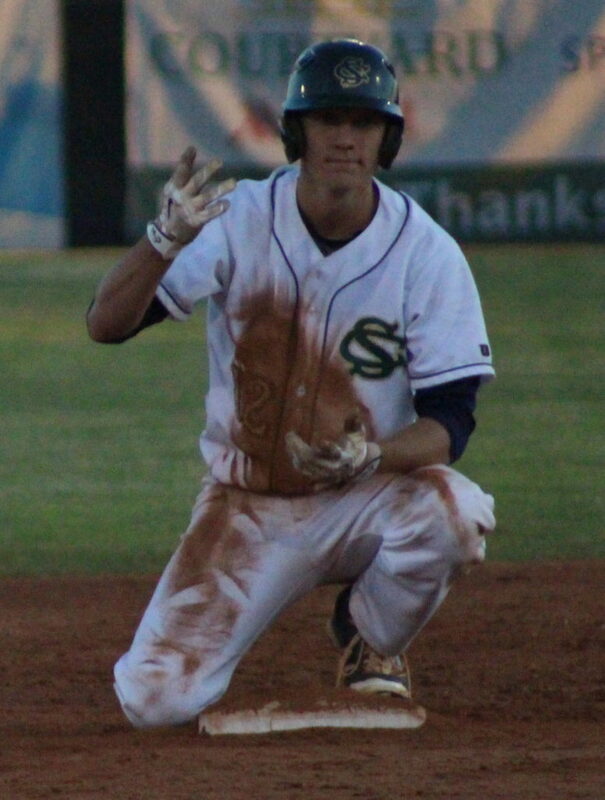 An SC error led to two runs in the top of the first for Juan Diego, but the next 90 minutes would be all Snow Canyon. The bottom of the first started with singles by Jamison Day and Davis Rigby and a walk by Deming. Cannon Secrist lined one to center to tie the game at 2-2, but the Warriors were just getting started. Braden Baker followed with his first varsity home run, a three-run shot to left field that was a no-doubter right off the bat. Later in the inning, Day blooped a two-run single to make it 7-2. Baker picked up his fourth and fifth RBIs of the game with a two-run double in the second as the lead grew to 10-2. 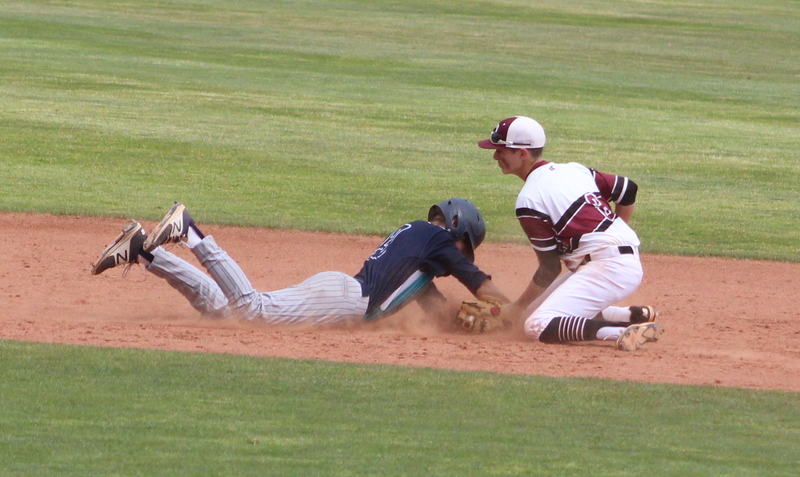 In the fourth, Snow Canyon started tilting the game toward the mercy rule by plating seven more runs. 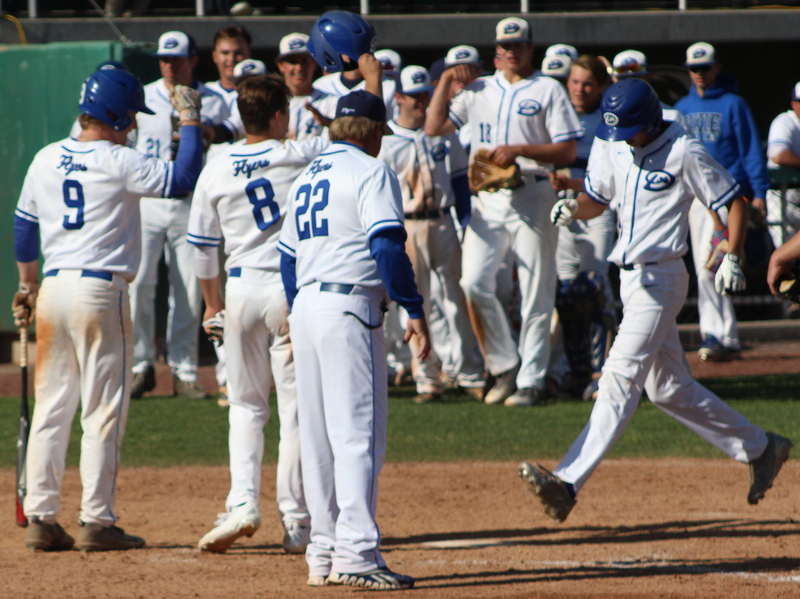 Parker Ence had a two-run single and Juan Diego committed two errors in the rally. Cannon Secrist was on the mound for the five innings, picking up the win by allowing just two hits and no earned runs in the game. He also scored three times and knocked in a couple of runs. Baker had a dream game, socking two doubles and that homer for five RBIs and three runs scored. He finished the day (two games) with four hits, eight RBIs and four runs scored, collecting a slugging percentage of 1.250 with his 10 total bases. Snow Canyon, 18-10, managed 30 runs in two games on the day, going off for 24 hits and drawing 10 walks in two games. Nine of those hits were for extra bases, including Deming’s first triple of the year. The Warriors survived and will play Park City at 10 a.m. Saturday at UVU, with the winner playing Dixie at noon for a chance at the state title. Snow Canyon has not yet exhausted its pitching staff, though three games Saturday would be taxing. Jed Jensen is available as well as Deming and perhaps Makai Lee. Snow Canyon (18-10) vs. Park City (22-4), 10 a.m.